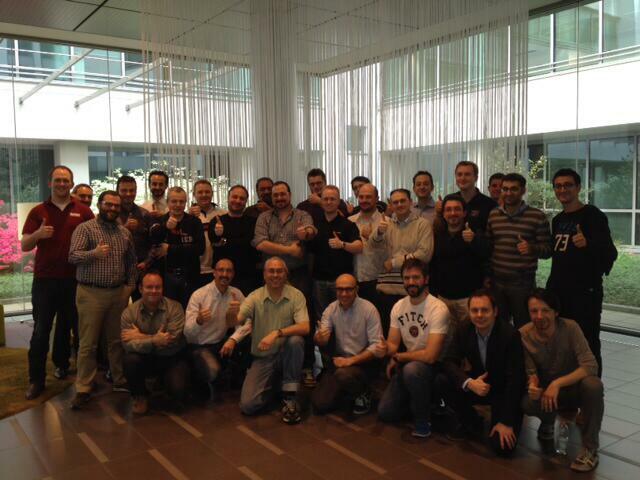 The Italian VCAP and VCDX Bootcamps have finished and I can confirm (another time) how they can really valuable. During the past VMworld EU, I’ve attend at the VCDX Bootcamp, and this time was the opportunity to attend also at the VCAP Bootcamp (but first to all the opportunity to bring them in Italy). Those bootcamps are a great opportunity to increase you skills, knowledge but also your confidence with VMware high level certification programs. But also a special opportunity to know other people involved in VCAP or VCDX preparation or people that have already those certifications. In this way could also become a way to start other opportunity like study groups or review groups and so on. Collaboration, experience sharing, support and talk with the right people is a right way to affront some high level certifications. But it’s also important have those kind of opportunity and althougt there are books and on-line opportunity a direct and physical meeting are unique and can bring more results. Seems difficult have those bootcamps in your Country, but John Arrasjid (VCDX001) and Mark Brunstad (VCDX Program Manager) are really available and also interested in find new locations. The Milan session for example has start by simply make a pool (VCDX Bootcamp 2014 – Call for locations) and see how many people were really interested in it. A minimum number is needed to make sense and of course also the availability of John (or who he will delegate) and Mark. VCDX Bootcamp is a half day session (little less) that can really help you in the VCDX preparation, especially to understand the entire VCDX process with more attention on the application and the defense part. In my opinion could be a must for each new VCDX. The other half is covered by the other VCAP bootcamps, pretty useful and valuable for who has to reach at least this level. And note that the events are completrly free (but registration and approvation is needed)! You have only to invest your time (expecially after to prepare for the certification) and the travel coverage. 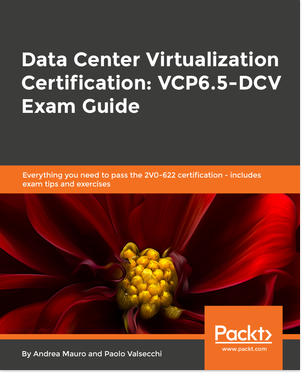 VCAP Administration exams are equivalent to the Cisco CCIE certification in terms of hands-on rigor, but they are focused on the advanced administration and engineering of VMware technologies supporting the software-defined data center. This interactive boot Camp, led by veteran VCDX-and-VCAP- certified instructors, provides a review of the blueprints and knowledge areas that must be mastered for each exam. The session also includes examples of the question types, scenarios, and live lab environments the candidates will encounter during testing. VCAP Administration certification is a pre-requisite for the VMware Certified Design Expert (VCDX) credential and candidates who attend this session will also have an opportunity to discuss preparation strategies for VCDX with their VCAP and VCDX certified instructors. This boot camp is 1.5 hours. 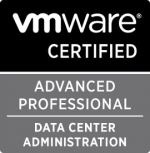 Pre-requisite: VCP certification and admin experience with VMware technologies. VCAP Design certification is for IT architects who design and integrate VMware Data Center Virtualization, Desktop Virtualization and Mobile Computing, and Cloud solutions in enterprise environments. This interactive boot Camp, led by veteran VCDX-and-VCAP- certified instructors, begins with a review of the blueprints and knowledge areas that must be mastered for each design exam. The session also includes examples of questions, a demonstration of drag-and-drop items, and a guide to the in-exam design tool candidates will encounter during testing. The VCAP Design exams provide validation of design experience as a pre-requisite to the VMware Certified Design Expert (VCDX) credential and candidates who attend this session will also have an opportunity to discuss preparation strategies for VCDX with their VCAP and VCDX certified instructors. This boot camp is 1.5 hours. Pre-requisite: VCP certification and design/admin experience with VMware technologies. 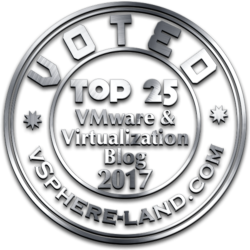 VMware Certified Design Experts are an elite group of architects leading virtualization implementations around the world. 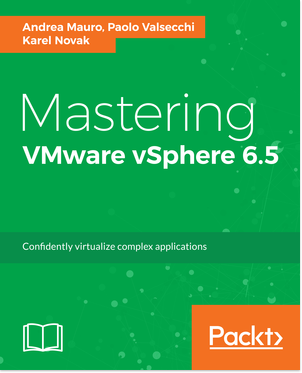 Certification is achieved through the Design Defense where all candidates must submit and successfully defend a production-ready VMware Solution before a panel of veteran VCDX-holders. This popular boot camp led by John Arrasjid (VCDX001) and Mostafa Khalil (VCDX002) is now in its 6th year of preparing candidates to face the VCDX Defense Panel. The boot camp also includes a complete exam blueprint review with strategies for maximizing scoring opportunities in each knowledge category, time management strategies, and a mock defense session with VCDX Panelists asking questions candidates can expect to field during their Design Defense. All 9 of the VCDX candidates who achieved VCDX at VMworld 2013 in San Francisco attended this boot camp and provided feedback on the value. This boot camp is 4 hours. Pre-requisite: Candidates preparing to sit for the VCDX Panel Defense. #1 | Pinged by Why attend at a VCAP or VCDX Bootcamp | IP tools – On Line about 5 years ago. #2 | Written by Raffaello about 5 years ago. Grazie per aver organizzato questo evento. Senza prezzo. #3 | Written by Andrea Mauro about 5 years ago. Grazie per la partecipazione. Senza un numero adeguato di partecipanti non si faceva per nulla. O quanto meno non si poteva fare in forma gratuita. #4 | Written by Max Mortillaro (@darkkavenger) about 5 years ago. Grazie Andrea per aver organizzato la venuta di John e Mostafa. E eccezzionale avere la possibilita ascoltare, parlare e interagire con leggende come loro, ma anche incontrare e scambiare con esperti italiani. Sono molto felice di aver potuto raggiungervi! #5 | Written by Andrea Mauro about 5 years ago. Il grazie va a loro. Senza la loro disponibilità (e potrebbero benissimo “tirarsela”, ma non lo fanno) non sarebbe stato possibile. E ovviamente anche a tutti i partecipanti. I numeri contano e rendono appetibile una location. #6 | Written by Andrea Mauro about 5 years ago. #7 | Written by Mariusz about 5 years ago. Thanks for a great day in Milan. It was a really helpfull bootcamp! #8 | Written by Andrea Mauro about 5 years ago. Was a great day and really valuable sessions. Thanks to you for attending it.